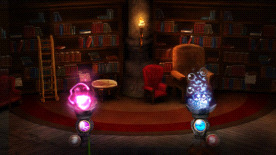 Hidden deep under Castle Aldrheim, Grimnir’s laboratory has for long been kept a secret from all Wizards of the order. A crazy random happenstance during a recent “cellar activity” caused the wizards to discover this long lost lab and all its horrors! New challenge against 16 waves of monstrous horrors. Elemental altars, dictating what elements you can use. New enemies, Grimnir’s long forgotten experiments. A new challenge of tactics and cooperation to survive the special mechanics. NVIDIA® GeForce 8800 or ATI Radeon® X1900. Integrated Graphics (laptops) are not supported.